Added by Indo American News on July 14, 2016. 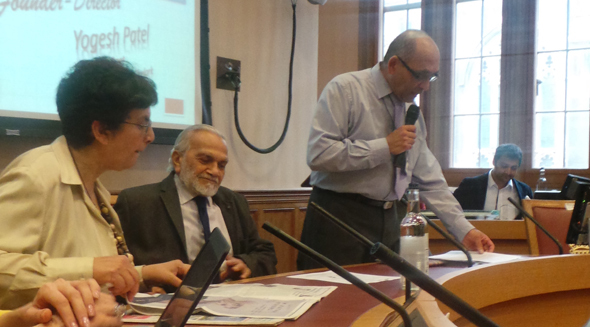 Lord Parekh (center) with Yogesh Patel (right) and Baroness Prashar. 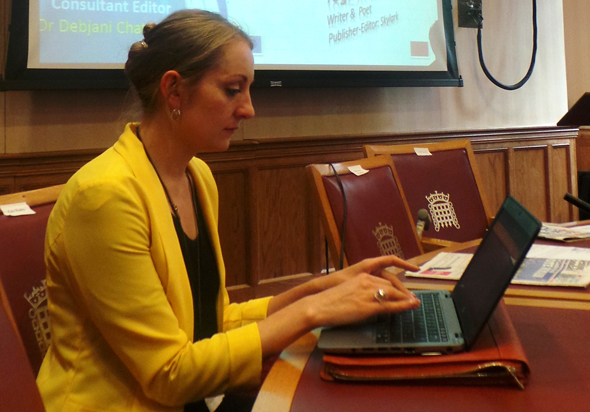 LONDON: On the eve of the momentous Brexit referendum, June 22, the House of Lords saw another colorful and history making occasion for English language poets of the Indian diaspora. The evening was hosted by Lord Bhikhu Parekh, a distinguished Indian diaspora non-fiction writer and a patron of the non-profit Word Masala Foundation and poet Yogesh Patel, the founder-Director of WMF. The ambitious event was Patel’s brainchild and was tightly packed with speeches, book launches, poetry readings, award ceremonies, slide presentation and networking. It attracted some sixty people, including well-established and rising poets, poetry publishers and journalists. 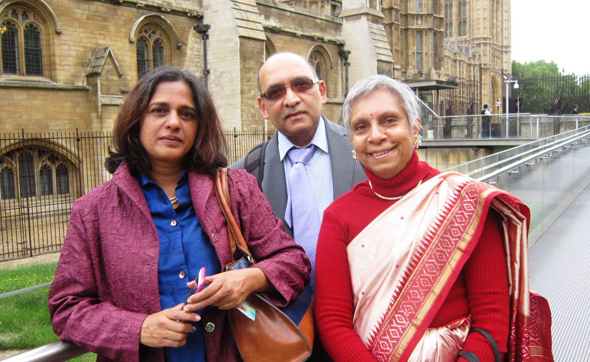 From left: Usha Akella, Yogesh Patel and Debjani Chatterjee outside Parliament.